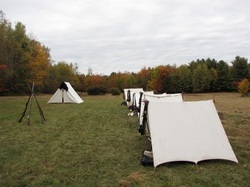 Reenacting as members of Co A, 12th NH Infantry, the brothers of Canney Camp returned to New Durham, NH for its 11th annual encampment on the Cullimore Farm. 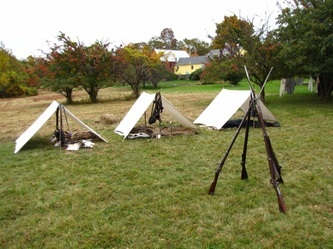 For this year's event, we were the "Provost Guard", a unit of men detached from the 12th NH to guard the vital railroad station and powder mill in town. Our camp atop Ridge Road was a representation of those soldiers from the guard who were on the off-duty shift. While at camp on Saturday, Corporal Robicheau instructed the troops on the manual of arms and stacking of arms. 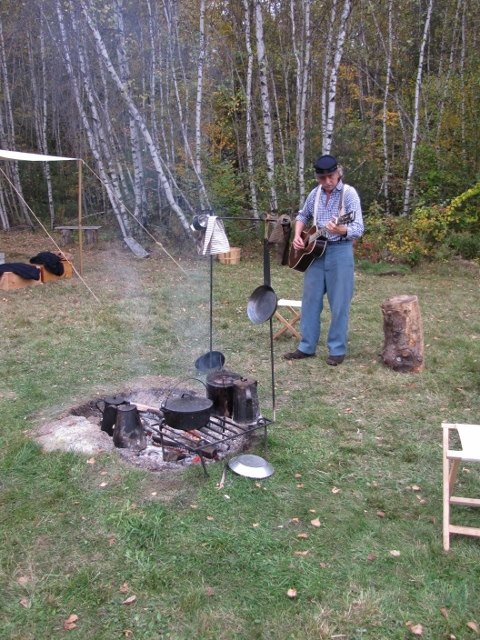 That evening, Pvt Hollinrake broke out his guitar and shared with us his newly learned stringing and singing talents, to the tune of numerous Civil War era songs. 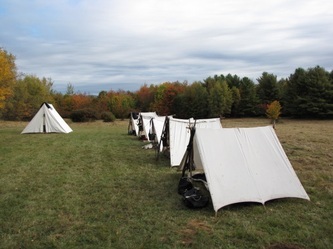 Sunday greeted us with rain (not to mention an annoying family of porcupines chatting in the crab apple trees behind our tents), but the drizzle never keeps away the public from arriving to view the camp life of a Civil War soldier. 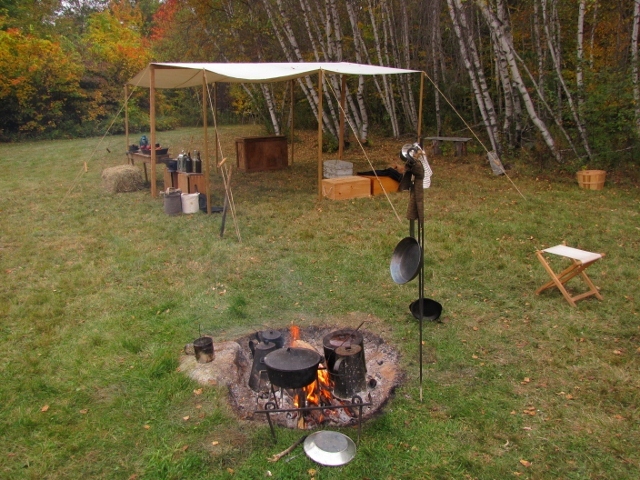 This free annual event is co-hosted by the New Durham Historical Society, whose members have tables set-up nearby with historical displays and numerous items (including baked goodies!) for sale. 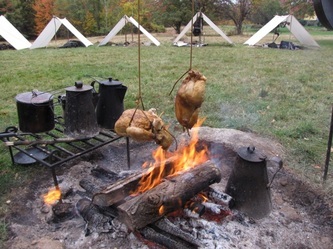 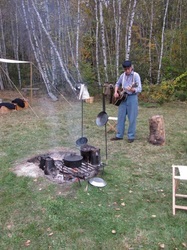 This year included bowls of beef stew and home-made apple pie, made on the spot and baked over an open fire pit. 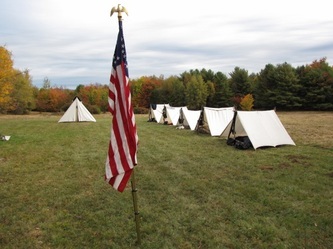 The proceeds from their weekend sale (and any donations contributed to the cause) go towards the Civil War Memorial Scholarship Fund, awarded to a New Durham student currently attending their first year of college.